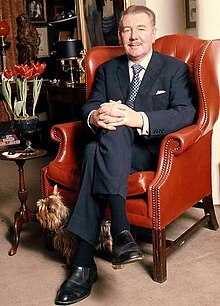 Sir Michael Scudamore Redgrave CBE (20 March 1908 – 21 March 1985) was an English stage and film actor, director, manager, and author. He received an Academy Award for Best Actor nomination for his performance in Mourning Becomes Electra (1947), as well as two BAFTA Award for Best British Actor nominations for his performances in The Night My Number Came Up (1955) and Time Without Pity (1957). At the 4th Cannes Film Festival, he won Best Actor for his performance in The Browning Version (1951). Redgrave was born in Bristol, England, the son of the silent film actor Roy Redgrave and actress Margaret Scudamore. He never knew his father, who left when the boy was six months old to pursue a career in Australia. He died when Redgrave was fourteen. His mother subsequently married Captain James Anderson, a tea planter. Redgrave greatly disliked his stepfather. He studied at Clifton College and Magdalene College, Cambridge. Clifton College's theatre, the Redgrave Theatre, was later named after him. He was a schoolmaster at Cranleigh School in Surrey before becoming an actor in 1934. He directed the boys in Hamlet, King Lear and The Tempest, but played all the leading roles himself. The "Redgrave Room" at the school was named after him. In the new Guildford School of Acting building, which opened in January 2010, the "Sir Michael Redgrave Studio" was named for him. Redgrave made his first professional appearance at the Playhouse in Liverpool on 30 August 1934 as Roy Darwin in Counsellor-at-Law (by Elmer Rice), then spent two years with its Liverpool Repertory Company where he met his future wife Rachel Kempson. They married on 18 July 1935. 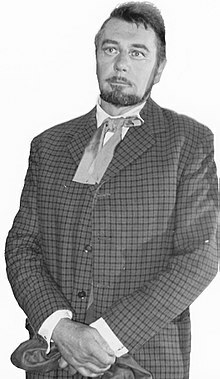 Offered a job by Tyrone Guthrie, Redgrave made his first professional debut in London at the Old Vic on 14 September 1936, playing Ferdinand in Love's Labours Lost. During 1936–37 he also played Mr Horner in The Country Wife, Orlando in As You Like It, Warbeck in The Witch of Edmonton and Laertes to Laurence Olivier's Hamlet. His hit of the season was Orlando. Edith Evans was his Rosalind and the two fell very much in love. As he later explained: "Edith always had a habit of falling in love with her leading men; with us it just went rather further." As You Like It transferred to the New Theatre in February 1937 and Redgrave again played Orlando. At the Embassy Theatre in March 1937, he played Anderson in a mystery play, The Bat, before returning to the Old Vic in April, succeeding Marius Goring as Chorus in Henry V. Other roles that year included Christopher Drew in Daisy Fisher's comedy A Ship Comes Home at the St Martin's Theatre in May and Larry Starr in Philip Leaver's comedy Three Set Out at the Embassy in June, before joining John Gielgud's Company at the Queen's Theatre, September 1937 to April 1938, where he played Bolingbroke in Richard II, Charles Surface in The School for Scandal and Baron Tusenbach in Three Sisters. Redgrave joined the Royal Navy as an ordinary seaman in July 1941, (HMS Illustrious) but was discharged on medical grounds in November 1942. Having spent most of 1942 in the Reserve he managed to direct Lifeline (Norman Armstrong) starring Frank Pettingell at the Duchess Theatre in July; and The Duke in Darkness (Patrick Hamilton) starring Leslie Banks at the St James's Theatre in October, also taking the role of Gribaud. Redgrave joined the Shakespeare Memorial Theatre company at Stratford-upon-Avon and for the 1951 season appeared as Prospero in The Tempest as well as playing Richard II, Hotspur and Chorus in the Cycle of Histories, for which he also directed Henry IV Part Two. After appearing as Frank Elgin in Winter Journey at the St James's April 1952, he rejoined the Stratford company in 1953 (together with his actress wife Rachel Kempson) appearing as Shylock, King Lear and Antony in Antony and Cleopatra, also playing Antony when the company transferred to the Prince's Theatre in November 1953 before touring in the Netherlands, Belgium and Paris.,:p. 163 in 1958 he played Hamlet with Googie Withers appearing as his mother at Stratford on Avon. At the Apollo in June 1955 he played Hector in Tiger at the Gates, appearing in the same role at the Plymouth Theatre, New York City in October 1955 for which he received the New York Critics' Award. While in New York he directed A Month in the Country at the Phoenix Theatre in April 1956, and directed and played the Prince Regent in The Sleeping Prince at the Coronet Theatre in November 1956. Returning to London in January 1958, Redgrave appeared as Philip Lester in A Touch of the Sun (N. C. Hunter) at the Saville Theatre. He won Best Actor in the Evening Standard Awards 1958 for this role. He rejoined the Shakespeare Memorial Theatre Company in June 1958, to play Hamlet and Benedick, also playing Hamlet with the company in Leningrad and Moscow in December 1958. (His wife Rachel Kempson played Ursula in Much Ado About Nothing and Lady Capulet in Romeo and Juliet). At the Queen's Theatre in London in August 1959, he played H.J. in his own adaptation of the Henry James novella The Aspern Papers. His play was later successfully revived on Broadway in 1962, with Dame Wendy Hiller and Maurice Evans. The 1984 London revival featured his daughter, Vanessa Redgrave, along with Christopher Reeve and Hiller, this time in the role of Miss Bordereau. Returning to Britain, in July 1962 he took part in the Chichester Festival Theatre's opening season, playing the title role in Chekhov's Uncle Vanya to the Astrov of Laurence Olivier who also directed. Alongside John Dexter's Chichester staging of Saint Joan, Olivier's Uncle Vanya was first revived in Chichester in 1963 before transferring to the Old Vic as part of the nascent Royal National Theatre's inaugural season, winning rave reviews and Redgrave's second win as Best Actor in the 1963 Evening Standard Awards. Critic Michael Billington recalled: "In Redgrave's Vanya you saw both a tremulous victim of a lifetime's emotional repression and the wasted potential of a Chekhovian might-have-been: as Redgrave and Olivier took their joint curtain call, linked hands held triumphantly aloft, we were not to know that this was to symbolise the end of their artistic amity." Redgrave played (and co-presented) Lancelot Dodd MA in Arthur Watkyn's Out of Bounds at Wyndham's Theatre in November 1962, following it at the Old Vic with his portrayal of Claudius opposite the Hamlet of Peter O'Toole on 22 October 1963. This Hamlet was in fact the National Theatre's official opening production, directed by Olivier, but Simon Callow has dubbed it "slow, solemn, long", while Ken Campbell vividly described it as "brochure theatre." In January 1964 at the National he played the title role in Hobson's Choice, which he admitted was well outside his range: "I couldn't do the Lancashire accent and that shook my nerve terribly – all the other performances suffered." While still at the National in June 1964 he also played Halvard Solness in The Master Builder, which he said 'went wrong'. At this time he had incipient Parkinson's disease, although he did not know it. In May and June 1965 Redgrave directed the opening festival of the Yvonne Arnaud Theatre in Guildford, including directing and playing Rakitin in A Month in the Country (co-starring with Ingrid Bergman as Natalya Petrovna), and Samson in Samson Agonistes (co-starring with Rachel Kempson as Chorus). He again played Rakitin in September 1965, when his production transferred to the Cambridge Theatre in London. For the Glyndebourne Festival Opera he directed Werther in 1966 and La bohème in 1967. At the Mermaid Theatre in July 1971 he played Mr Jaraby in The Old Boys (William Trevor) and had an unfortunate experience: "My memory went, and on the first night they made me wear a deaf aid to hear some lines from the prompter and it literally fell to pieces – there were little bits of machinery all over the floor, so I then knew I really couldn't go on, at least not learning new plays." Nevertheless, he successfully took over the part of Father in John Mortimer's A Voyage Round My Father at the Theatre Royal, Haymarket, also touring Canada and Australia in the role in 1972–73. In 1973, he played a supporting role in David Winters' musical television film adaptation of Dr. Jekyll and Mr. Hyde (nominated for three Emmys), the lyrics of the songs were written by Lionel Bart. It stared Kirk Douglas, with Susan Hampshire, Stanley Holloway, and Donald Pleasence. Redgrave's final theatre appearance came in May 1979 when he portrayed Jasper in Simon Gray's Close of Play, directed on the Lyttelton stage at the National Theatre by Harold Pinter. It was a silent, seated role, based on Gray's own father, who had died a year before he wrote the play. As Gray has said: "Jasper is in fact dead but is forced to endure, as if alive, a traditional English Sunday, helpless in his favourite armchair as his three sons and their wives fall to pieces in the usual English middle class style, sometimes blaming him, sometimes appealing to him for help and sobbing at his feet for forgiveness, but basically ignoring him. In other words I had stuck him in Hell, which turns out to be 'life, old life itself'." His final work, in 1975, a narrative of the epic poem, The Rime of the Ancient Mariner, by Samuel Taylor Coleridge, a poem that Redgrave taught as a young schoolmaster and visualised by producer-director Raul da Silva, received six international film festival prizes of which five were first place in category. This work was to be his last before the onslaught of Parkinson's disease. Redgrave first appeared on BBC television at the Alexandra Palace in 1937, in scenes from Romeo and Juliet. His first major film role was in Alfred Hitchcock's The Lady Vanishes (1938). Redgrave also starred in The Stars Look Down (1940), with James Mason in the film of Robert Ardrey's play Thunder Rock (1942), and in the ventriloquist's dummy episode of the Ealing compendium film Dead of Night (1945). His first American film role was opposite Rosalind Russell in Mourning Becomes Electra (1947), for which he was nominated for an Academy Award for Best Actor. In 1951 he starred in The Browning Version, from Sir Terrence Rattigan's play of the same name. The Daily Mirror described Redgrave's performance as Crocker-Harris as "one of the greatest performances ever seen in films". The 1950s also saw Redgrave in The Importance of Being Earnest (1952), The Dambusters (1954) with his portrayal of the inventor Barnes Wallis, 1984 (1956), Time Without Pity (1957), for which he was nominated for a BAFTA Award, and The Quiet American (1958). Notable television performances include narration for The Great War (1964), a history of the First World War using stills and 'stretched' archive film, and the less successful Lost Peace series (BBC Television, 1964 and 1966). Of the latter, Philip Purser wrote: "The commentary, spoken by Sir Michael Redgrave, took on an unremittingly pessimistic tone from the outset." Redgrave was married to the actress Rachel Kempson for 50 years from 1935 until his death. Their children Vanessa (b. 1937), Corin (1939–2010) and Lynn Redgrave (1943–2010), and their grandchildren: Natasha Richardson (1963–2009), Joely Richardson (b. 1965) and Jemma Redgrave (b. 1965) are also involved in theatre or film as actors. Their grandson Carlo Gabriel Nero is a screenwriter and film director; only Luke Redgrave has taken a path outside the theatre. His daughter Lynn wrote a one-woman play for herself called Shakespeare for My Father. She was nominated for Broadway's Tony Award for this role. She traced her love for Shakespeare as a way of following and finding her often absent father. Redgrave owned White Roding Windmill from 1937 to 1946. He and his family lived in "Bedford House" on Chiswick Mall from 1945 to 1954. His entry for Who's Who in the Theatre (1981) gives his address as Wilks Water, Odiham, Hampshire. A card was found among Redgrave's effects after his death. The card was signed "Tommy, Liverpool, January 1940", and on it were the words (quoted from W.H. Auden): "The word is love. Surely one fearless kiss would cure the million fevers". Redgrave died in a nursing home in Denham, Buckinghamshire, on 21 March 1985, from Parkinson's disease, one day after his 77th birthday. He was cremated at Mortlake Crematorium and his ashes were scattered in the garden of St Paul's, Covent Garden (The Actors’ Church), London. In 1951 Redgrave received the Best Actor Award (Cannes Film Festival) for The Browning Version. Redgrave twice (1958 and 1963) won Best Actor trophies in the Evening Standard Awards and twice received the Variety Club of Great Britain 'Actor of the Year' award (in the same years). Redgrave was appointed Commander of the Order of the British Empire (CBE) by The Queen in 1952 and was knighted in 1959. He was also appointed Commander of the Order of the Dannebrog by Denmark in 1955. Redgrave became the First President of the English Speaking Board in 1953, and President of the Questors Theatre, Ealing in 1958. In 1966, he received an honorary DLitt degree from the University of Bristol. In 1986, he was inducted posthumously into the American Theater Hall of Fame. The Redgrave Theatre in Farnham, Surrey, 1974–1998, was named in his honour. His plays include The Seventh Man and Circus Boy, both performed at the Liverpool Playhouse in 1935, and his adaptations of A Woman in Love (Amourese) at the Embassy Theatre in 1949 and the Henry James novella The Aspern Papers at the Queen's Theatre in 1959. ^ Redgrave provided his friend the actor and writer Godfrey Winn (also in the Navy at the time), with a memorable signal his ship made. The aircraft carrier HMS Illustrious was in collision with another carrier, HMS Formidable in poor weather visibility in the Atlantic, after the collision Illustrious signalled: "If you touch me in that place again, I shall scream". Winn, Godfrey (1944). Home from Sea. London: Hutchinson & Co. p. 115. ^ a b c d e Spoto, Donald (2012). The Redgraves: A Family Epic. New York: Random House. ISBN 978-0307720146. ^ "Michael Redgrave". Performances. Glyndebourne. Archived from the original on 6 November 2013. Retrieved 6 November 2013. ^ "Musical Version of 'Dr. Jekyll and Mr. Hyde' Stars Kirk Douglas". The Mexia Daily New. 74: 16. 3 April 1973. ^ "Dr. Jekyll and Mr. Hyde". Television Academy. Retrieved 9 April 2019. ^ Vellela, Tony (28 May 1993). "From our files: An interview with Lynn Redgrave". The Christian Science Monitor:. Retrieved 6 November 2013. ^ Barber, Lynn (28 April 2004). "His necessary degradations". The Telegraph. Retrieved 6 November 2013. ^ "Corin Redgrave, Actor and Activist, Dies at 70". The New York Times. 6 April 2010. Retrieved 3 January 2013. ^ "Vanessa Redgrave 'Grieving and Glorying' After Sister Lynn Redgrave's Death". ABC News. 2010. ^ "Rachel Kempson, 92, Matriarch of Acting Family". The New York Times. 26 May 2003. Retrieved 3 January 2013. 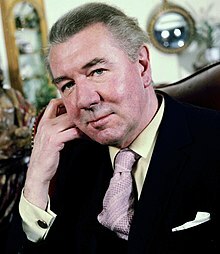 ^ "Sir Michael Redgrave (1908–1985)". OutStories Bristol. 30 September 2011. Retrieved 6 November 2013. ^ "9 Stage Veterans Enter Theater Hall of Fame". New York Times. 22 April 1986. ^ "FILM WORLD". The West Australian. Perth: National Library of Australia. 28 February 1947. p. 20 Edition: SECOND EDITION. Retrieved 27 April 2012. ^ "Vivien Leigh Actress of the Year". Townsville Daily Bulletin. Qld. : National Library of Australia. 29 December 1951. p. 1. Retrieved 27 April 2012. ^ Kirby, Walter (28 December 1952). "Better Radio Programs for the Week". The Decatur Daily Review. p. 36. Retrieved 5 June 2015 – via Newspapers.com. ^ Kirby, Walter (11 January 1953). "Better Radio Programs for the Week". The Decatur Daily Review. p. 42. Retrieved 19 June 2015 – via Newspapers.com. The Sir Michael Redgrave Archive is held by the Victoria and Albert Museum Theatre and Performance Department.